If you’re a small business software buyer, your decisions can have a direct impact on your company. It’s important to consider your company’s needs in addition to the value and capability of each software. Gartner is known as a key source for enterprise decision makers when identifying, evaluating, and selecting business software vendors, however, there is a newly launched FrontRunners quadrant powered by Gartner Methodology. FrontRunners scores and graphic are derived from individual end-user reviews based on their own experiences, vendor supplied and publicly available product information, and do not represent the views of Gartner or its affiliates. 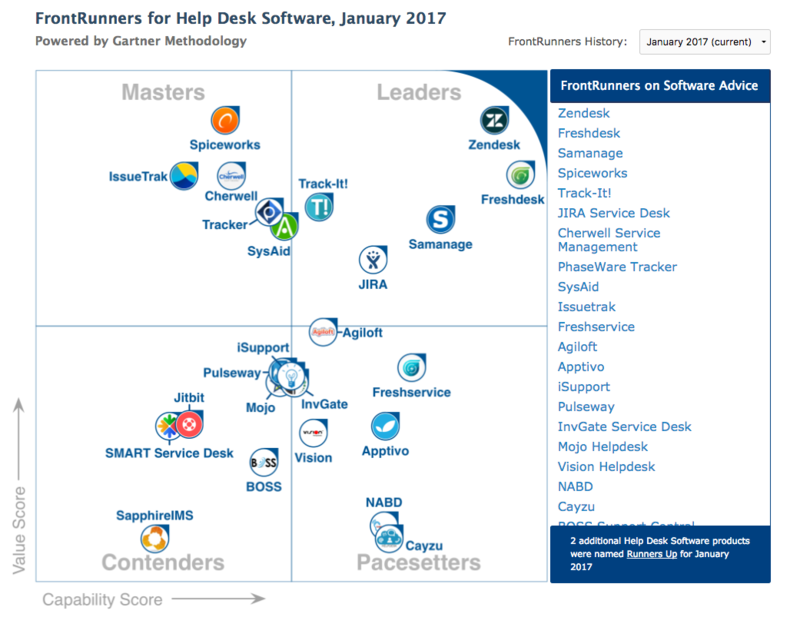 The January 2017 FrontRunners for Help Desk Software is a data-driven assessment identifying products in the Help Desk Software market that offer the best capability and value for small businesses. That means no analyst interpretations. According to the FrontRunners methodology, “Data sources include user reviews and ratings, public data sources and data from technology vendors.” That way you can decide which help desk software system is best for your business for yourself. To learn more about leading help desk software systems, access your complimentary copy of FrontRunners for Help Desk Software, January 2017.